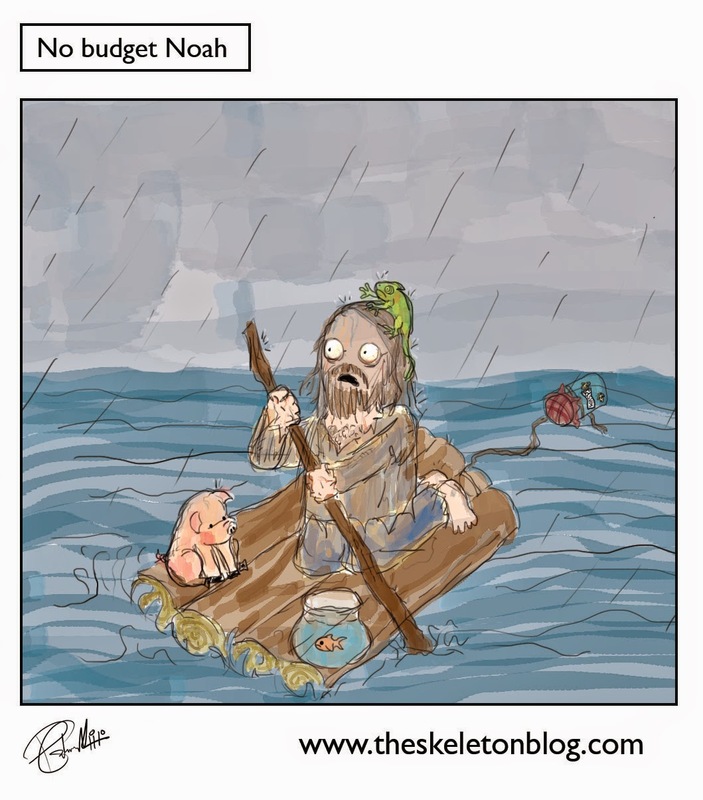 Noah looks like a pretty big budget affair. Darren Aronofsky and Gladiator and Hermione Granger plus some big waves I hear. This is what it would look like if I made it. One crazy man and his boat. You might not be able to see it there but he has a jam jar with 2 wasps in it. He'll probably release them when he gets attacked by a shark.